Representative of and investment advisory services offered through Brokers International Financial Services, LLC. Member SIPC. 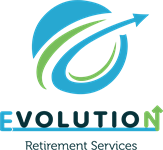 Brokers International Financial Services, LLC and Evolution Retirement Services are not affiliated companies.